Miramar Beach Florida Seasonal Vacation Rental, Destin Florida Vacation Condo Rental. 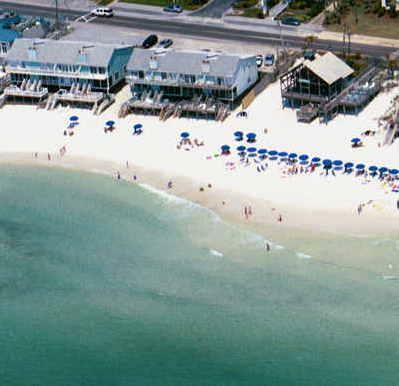 See destin florida rentals, and destin beach condos on white sand beaches at miramar beach, near destin florida. This beach is close in to destin and all of the vacation action, come on in and take a look at this pretty florida beach. Miramar beach has rentals from economy to world class, and there is something here for everyone. The vacation rentals on mramar beach come in two varieties, on the beach, and near the beach. Near the beach can mean across the road from the beach or a half mile away. The distance from the beach is given in the listing for each condo. You may be able to save a bit on weekly rentals by going with a vacation rental little further from the beach. A short bike ride will get you to the beach in minutes. On the other hand, if you want to go to sleep hearing the sound of the surf, the extra money may be worth it. Book Discounted Condos & Hotels In Miramar Beach On TripShock.com Today! Amenity packages sometimes include things like beach umbrellas, free tickets to amusement parks, golf courses, or tennis courts. Ask about these things when you negotiate your rental. Be sure to ask about weather cancellation policies. You can find additional rental information for some area properties in our new state wide hotel and motel directory, as some vacation homes in this area are also listed there also.